In these days I've been shopping like crazy and most of my purchases, both from online stores and from shops in my town, are short dresses or skirts, but weirdly I've been wearing pants more often than ever. In these pics I am experimenting with new pants I bought at H&M, they come from the "divided" line. I love the color and the shape because they are not exagerately low waisted. Green is definately one of my fave colors and this color matches my Sodini necklace I had already showed you !. In questi giorni ho fatto parecchio shopping e la maggior parte dei miei acquisti, sia provenienti da shop online che da negozi della mia città, hanno riguardato abitini e gonne, invece stranamente mi sto ritrovando ad indossare pantaloni più spesso del solito. In queste foto sto provando i miei nuovi pantaloni presi da da H&M nella sezione "divided". Mi piacciono il colore e il modello, non troppo a vita bassa. Il verde è sicuramente uno dei miei colori preferiti e quello di questi pantaloni si abbina perfettamente al verde della collana Sodini che vi avevo già mostrato !. This outfit is casual but not too much, thanks to my Celyn B black top, simple but elegant, and my beloved wedge pumps !. You had been warned that I would have used them in other outfits soon ! ;). You can also see my Marc by Marc Jacob burgundy tote and a new entry, a moustache ring ;). Questo outfit è casual ma non troppo, grazie al mio top nero di Celyn B, semplice ma elegante, e le adorate pumps con zeppa !. Eravate stati avvisati del fatto che le avrei usate presto in altri outfits ! ;). Potete anche vedere la mia tote di Marc by Marc Jacobs ed una new entry, un anello "con i baffi" ;). I also had a jacket with me, a leather jacket from Celyn B. I love it and I would wear it all the time, with pants but also with long skirts !. If I could choose, I'd want the weather to stay like this for several months...not too cold, not too hot...perfection ! This is what I call "leather jacket weather", it usually doesn't last for long...so I wanna enjoy it with more walks in open air !. Avevo con me anche una giacca, un giubbino in pelle di Celyn B., un capo che adoro e che indosserei tutte le volte, con pantaloni ma anche con gonne lunghe !. Se potessi scegliere, vorrei che il tempo restasse così per parecchi mesi...non troppo freddo, né troppo caldo...la perfezione ! Questo è proprio tempo da giacche in pelle, di solito non dura a lungo, per cui intendo godermelo facendo più passeggiate all'aria aperta !. 1) going to the movies to see "The art of rap", a documentary film directed by Ice-T that takes us on a journey into the heart and soul of hip-hop with the legends of rap music. Maybe you didn't know I love hip-hop !. Has anyone else watched it ? 3) sending out multiple orders on asos ! I seriously got addicted ! 5) being glad cause Gossip Girl is back and a bit sad because it's the last serie...ok, the plot is not the best one but it amuses me and keeps me entertained, sometimes it's enough ! 1) andare al cinema a vedere "The art of rap", un film documentario diretto da Ice-T che ci porta in un viaggio nel cuore e nell'anima dell'hip-hop con le leggende della musica rap. Forse non sapevate che amo l'hip-hop !. Voi lo avete visto ? 3) fare ordini multipli su asos ! Sono diventata dipendente ! 5) essere felice per il ritorno di Gossip Girl e anche un po' triste perché è l'ultima serie...ok, la scenneggiatura non è delle migliori ma mi diverte e mi intrattiene, a volte è abbastanza ! Nice outfits. It really looks good on you. Such a beautiful look! I really love the fall colours. You look great. Beautiful necklace. perfetta direi!! !adoro la tua collana! !mi piacciono molto i colori dei pantaloni!!baci!! This is a great outfit. That Marc Jacobs tote is beautiful & I love the colour of the pants. Credo che tu li bbia presi anche i burgundy, sbaglio?? Sono molto blli questi jeans ma l'occhio mi è proprio finito slla collana d sodini che trovo magnifica!! bellissimi i pantaloni e bellissima tu! Thanks for sharing...Complimenti vivissimi: il Tuo è un Look veramente Superbo, rasenta la Perfezione...Hai proprio ragione:sembrerebbe casuale ma...è studiato nei minimi dettagli (adoro il Tuo anello baffuto! )come un'Opera d'Arte! e Tu sei davvero un'Artista dello Stile!! Bellissima la collana, mi piace come porti il chiodo nero, rendendolo meno aggressivo!! Penso che tu abbia scelto i pantaloni anche nello stesso colore della tua bag Marc Jacobs, mi sbaglio??!! la mia attenzione è rivolta sulla collana *_* bellissima! Stunning outfit, love the bag and the necklace! You look amazing! I love the green pants, such a great color on you! So stylish! That necklace is fabulous! We do like your beautiful blog and love your outfits. Of course we are following you! Hope you follow back. GREAT LOOK :) yuo'r beautiful women! ¬¬ I forgot to suscribe in GFC! But now you can see me, I'm a new follower :D Thank you!!! Love the style and colour of your handbag!! You are very, very beautiful... I like so much. An interesting combination of colors! Hey pretty lady!! So perfect! Love the fall palate and the casual chicness. well done! Thank you for stopping by my blog, It means a lot to me:) Your blog is simply fasinating, you are so beautiful! Vale :) Mi piaceno a morire la borsa e la giacca ! Carinissima come sempre. Bacio fortissimo da Barcellona. Hi!!! The moustache ring rocks!! I will follow you with Google Friend connect right now. Thank you for your comment in our blog! We agree we follow each other by gfc! Bellissimo l'outfit! 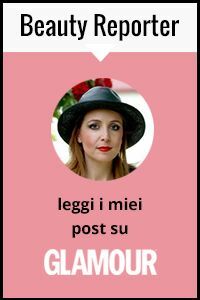 :) Mi piace il tuo blog, se vuoi possiamo seguirci a vicenda, fammi sapere :) Baci, Mina. vale, you are looking very fine in your H&M pants. casual elegance at its best. fierce jacket! did you buy purple pants? i like gossip girl too, but the latest episode was kind of odd. adoro sodini e quella collana è un sogno!! The pants' and and the bag's colors are a nice match. I love your belt. Great look! Very chic! Would you like to follow each other on GFC and blogloving?